SSP provides straight and coiled stainless steel tubing optimized for tube fitting installation and tube system installation. SSP specifications for tubing OD, wall thickness, hardness, chemistry and appearance are tighter than industry standards. Select stainless steel tubing for your application. 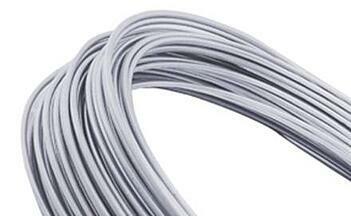 SSP offer seamless 316 stainless steel tubing in sizes from 1/8 to 1 in. (6 to 12mm) with wall thicknesses from 0.028 to 0.134 (1.0 to 2.5mm). All SSP tubing is seamless and suitable for fabricating instrumentation applications. SSP offers seamless stainless steel coiled tubing in in sizes from 1/4 to 1/2 with wall thicknesses from 0.35 to 0.65. Coiled tubing follow the same restrictive standards as straight instrumentation tubing. SSP also offers portable tube straighteners to make coiled tubing installation faster and easiers.